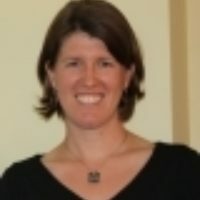 Jennifer Burns Gray is Maine Association of Nonprofit's Director of Advocacy and Public Relations. Previously, she was Maine Audubon’s staff attorney and advocate for twenty years. Jenn holds a B.A. from Trinity College in CT, a J.D. from the University of Maine School of Law, and is a trained mediator. A former board member of Friends of Merrymeeting Bay and GrowSmart Maine, Jenn lives in Bath with her family. Adam Lee is Chairman of the Board of Lee Auto Malls. He has been with Lee Auto Mall for 24 years, serving as president and assuming the position of Chairman in June 2010 upon the passing of his father, Shep Lee. He currently serves on the Muskie Board of Visitors, the MPBN Board, and the Advisory Board for Maine Audubon. Lee served as the Chairman of the Efficiency Maine Trust and Chair of the Maine Audubon Corporate Partners. He also served two terms on the M.O.F.G.A. board, the Maine Franchise Review Board and the Nature Conservancy Corporate Partners Board. 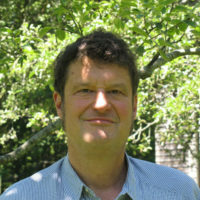 He is the past chairman of the Regional Greenhouse Gas Initiative and the Maine Energy Conservation Board and a past member of the Natural Resources Council of Maine, Maine Historical Society, Maine Energy Council, Governor’s Advisory Council, Center for Cultural Exchange and the OSHER Map Library. Lee is a graduate of Vassar College and the recipient of environmental awards from the Natural Resources Council of Maine and the Maine League of Conservation Voters. Lee lives in Cumberland with his wife and 15 year old twins, 2 horses, 2 cats, 3 dogs, and 25 chickens. Daniel Amory is an attorney with the firm of Drummond, Woodsum and McMahon in Portland. A graduate of Harvard College and Yale Law School, he practices in the areas of commercial transactions, Indian gaming, and environmental law. 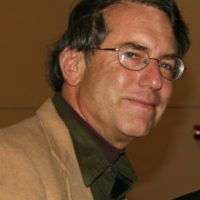 He is Chair of the Maine State Advisory Committee of the Conservation Law Foundation and President of Waterman's Community Center on North Haven, is past President of the Board of the Natural Resources Council of Maine, and has served as Treasurer of Portland Stage Company, as Chair of the Board of Harbor Commissioners for Portland Harbor, and as a member of various non-profit boards. His pleasures include sailing, cross-country skiing, gardening and history. 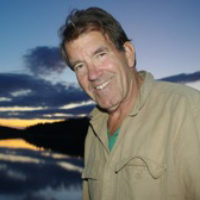 Roger Berle is a founding Director and current President of Oceanside Conservation Trust of Casco Bay, having represented Cliff Island on the OCT Board since 1982. He owned and operated a construction business on Cliff Island for thirty-four years but has also used the island as a base for his long-standing commitment to the permanent preservation of significant open space. Since closing his business, Roger does fundraising consulting for smaller nonprofit organizations. 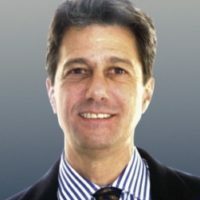 A former member of the Land for Maine’s Future Board (LMF), he is a Past President of Portland Trails and Past Chair of the Portland Land Bank Commission. 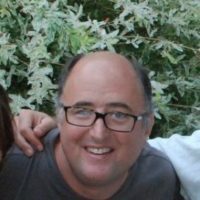 He is also Chair of the Maine Islands Coalition, which comprises the elected representatives from the surviving fourteen year-round Maine coastal islands and which meets to address issues which affect the sustainability of these unique communities. A graduate of Bowdoin College (BA) and Boston University (MBA), he lives partly in Falmouth and partly on Cliff Island. His daughter Liz lives in Cumberland, ME and his son Christian lives in Washington DC. Jennifer is Vice President of Conservation Grants for the Open Space Institute (OSI). 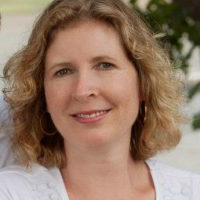 In addition, Jennifer serves as OSI’s New England/Southern Canada Field Coordinator. Jennifer provides oversight for OSI grant programs from Southern Canada to Alabama and also develops and administers OSI’s land conservation funds and programs in the northeast – including the Resilient Landscape Initiative, Community Forest Fund and Transborder Land Conservation Fund. Prior to joining OSI in 2008, Jennifer worked for the Trust for Public Land (TPL) for 12 years, establishing TPL’s first Maine field office. 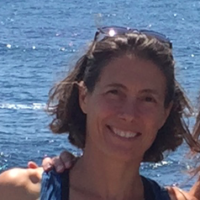 Previously, she served as the Conservation Director at the Appalachian Mountain Club and worked as a planner for the Massachusetts Department of Environmental Management. She is a graduate of the University of California, Berkeley, holds an MA from the Yale School of Forestry and Environmental Studies and lives in Freeport with her husband, Alex Abbott, and teenage daughter Grace (with occasional visits from their college-age son Caleb). Penny has been a member of the Board of Directors of the Chebeague & Cumberland Land Trust for 13 years and served as President of the Board for 7 years. As President, Penny led the organization through a national accreditation process and CCLT became the 12th all-volunteer land trust to receive the national award. Penny also serves on the Maine Land Trust Network Steering Committee which sets goals and policies for the land trust community throughout Maine. As a member of the Town of Cumberland Conservation Commission for 10 years, Penny led efforts to inventory vernal pools and New England Cottontail populations in the town. She has received awards for her environmental work from the Natural Resources Council of Maine, EcoMaine and the Cumberland/NY Lions Club. Penny has a Law Degree and a Masters in Environmental Studies from Vermont Law School and a Bachelor of Arts degree from Bowdoin College. Prior to coming to Maine, Penny worked for the MA Office of Environmental Affairs, Environmental Protection Agency Region I and a lobbying firm in Washington, D.C.. She currently lives in Cumberland with her husband and three children and is a stay at home mother. Penny enjoys outdoor adventures with her family and sharing her environmental interests with the local community. Michael Boland is an entrepreneur who lives in Bar Harbor with his wife and two daughters. A 1994 graduate of College of the Atlantic, Michael led the Student Environmental Action Coalition on campus and was the head naturalist for a local whale watching company. He has opened and operated several restaurants over the past two decades including in Bangor, Winter Harbor, Portland and Bar Harbor. Michael bought, renovated, and sold the Criterion Theatre in 2001-2006 and spearheaded a campaign to re-purchase the Criterion this past year as a 501c3 nonprofit organization. Michael has served on the boards of the Abbe Museum, COA Alumni Association and is currently chair of the board of the Criterion. For five years, Michael served as President of the Bar Harbor Chamber of Commerce. 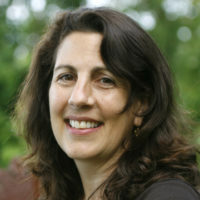 Anna Brown is the Climate Adaptation Director of The Nature Conservancy’s North American Region. Originally from Maine, Anna has spent the past eighteen years focused on inclusive urban development, economic inclusion, and sustainable development in the United States and abroad. As Senior Associate Director at The Rockefeller Foundation, Anna managed the Asian Cities Climate Change Resilience Network (ACCCRN), and supported the Foundation’s global strategies on resilience and inclusive economies. After returning to the United States in 2017, Anna served as a strategy and resource development advisor for Coastal Enterprise, Inc (CEI). Through her independent consulting practice, Aequita Consulting, Anna provides clients with guidance on program strategy and design with an orientation toward equity, resilience, and environmental stewardship. Anna’s board service includes Earth Force, a national organization that engages young people as active citizens who are improving the environment and their communities; Extraterrestrial Projects, a non-profit dedicated to finding new ways to explore, understand, and protect the world around us; and the Freeport Conservation Trust. A graduate of Brown University and the Massachusetts Institute of Technology, Anna lives in Freeport with her husband and two children. 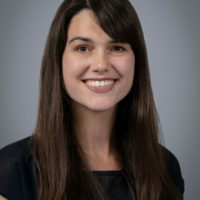 Alyne Cistone attained her legal education both in Kenya (University of Nairobi, Kenya School of Law) and in the United States (Case Western Reserve University, School of Law, Cleveland, Ohio). 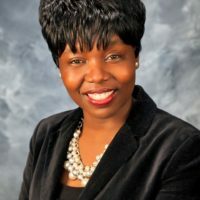 Her Professional career includes previous work at the Constitution of Kenya Review Commission (Nairobi, Kenya), Amnesty International (Washington DC), the AIDS Taskforce of Greater Cleveland (Cleveland, Ohio), Island Housing Trust (Mount Desert, ME), Schoodic Institute at Acadia National Park (Winter Harbor) and Visiting Faculty at College of the Atlantic (Bar Harbor, Maine). She currently serves as Trustee of the College of the Atlantic, SPCA & the MDI YMCA. She is also a member of the Hancock County Committee of the Maine Community Foundation. Alyne is currently a Management Consultant with Eaton Peabody. As part of the Eaton Peabody Consulting Group and Eaton Peabody’s Economic Development and Government Relations Practice Group, Alyne is an integral part of a team delivering a wide variety of consulting services on a statewide basis. She focuses her management consulting primarily on complex projects in the areas of Business Development, Non-Profits, Economic and Community Development, Alternative energy and Immigration. She resides in Somesville, Mount Desert Island, Maine with her family. Brad is president of Covenant Health Foundation and Senior Vice President of Covenant Health of Tewksbury, Massachusetts. The foundation supports philanthropy at Covenant Health facilities in Maine and several other northeastern states. He and his wife, Elizabeth, a Congregational minister, live in Bangor. They are the proud parents of three children. He is a graduate of George Washington University and the University of Maine School of Law. Two of Brad’s favorite activities are canoe paddling and hiking. For many years Brad and his frequent paddling partner remarkably have managed to finish fourth in their class, just missing out on glory. One of Brad’s greatest joys is that all three of his children love hiking and have hiked Katahdin countless times since they were just nine years old. 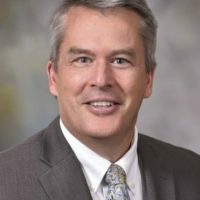 Jeff Pidot spent most of his legal career in the Natural Resources Division of the Maine Attorney General’s Office, for the last seventeen years of which he was chief. For three years in the early 1980s, Jeff was executive director of the Maine Land Use Regulation Commission. In 2004-5, he was a visiting fellow at the Lincoln Institute of Land Policy in Cambridge, where the focus of his work was on conservation easement issues and reforms. 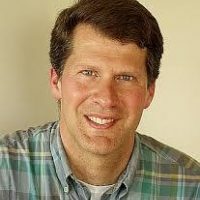 Jeff has served on the boards of Maine Audubon, the Natural Resources Council of Maine, the Kennebec Land Trust and other organizations. In 2007, he was recipient of NRCM’s lifetime achievement award. John Piotti is President of American Farmland Trust. Formerly he served under the Maine House of Representatives as House Majority Leader and notably advanced the Land for Maine’s Future program, funding for Maine’s working waterfronts, and preserve Katahdin Lake and incorporate it into Baxter State Park. In 2010 Maine Conservation Voters honored his accomplishments for his last term. John is also a 2003 recipient of the Noyce Award for Non-Profit Excellence from the Maine Community Foundations as the Founder of the Unity Barn Raisers and currently serves on the Unity Planning Board and the Maine Technology Institute, Agriculture and Forestry Advisory Board. A 2005 Eisenhower Fellow, 2006 Fleming Fellow and Author of From the Lane: Maine Farms at Work, 2010. He enjoys hiking, skiing and is an accomplished sailor. Sarah Russell is a community organizer and activist with a passion for the outdoors. She holds a BA from Bowdoin and an MBA from Boston University. Sarah served on the Chebeague & Cumberland Land Trust for six years, assisting in the national accreditation process for the organization. She was a founding Board Member of Girls on the Run - Maine, launching the empowerment program for 3rd-5th graders, and she served for two terms on Bowdoin’s Polar Bear Fund. Sarah is an accredited endurance coach for The Sustainable Athlete where she trains, coaches and teaches classes for people of all ages. She and her husband live in Cumberland with their 4 kids and spend as much time as possible outside, enjoying Maine’s cherished environment.